THE man targeted in a pipe bomb attack in the early hours of last Tuesday had been threatened by the INLA in the past, the North Belfast News has learned. However, the bomb attack that saw a car damaged is understood to have been the work of vigilante group Action Against Drugs (AAD). It is unclear if the vehicle damaged in the attack belonged to the intended target. North Queen Street was sealed off for a number of hours as British army technical officers carried out work on a device that was later declared to be viable. It had been assumed that a loud noise heard at the scene by local residents was a controlled explosion, but the North Belfast News understands the device went off. 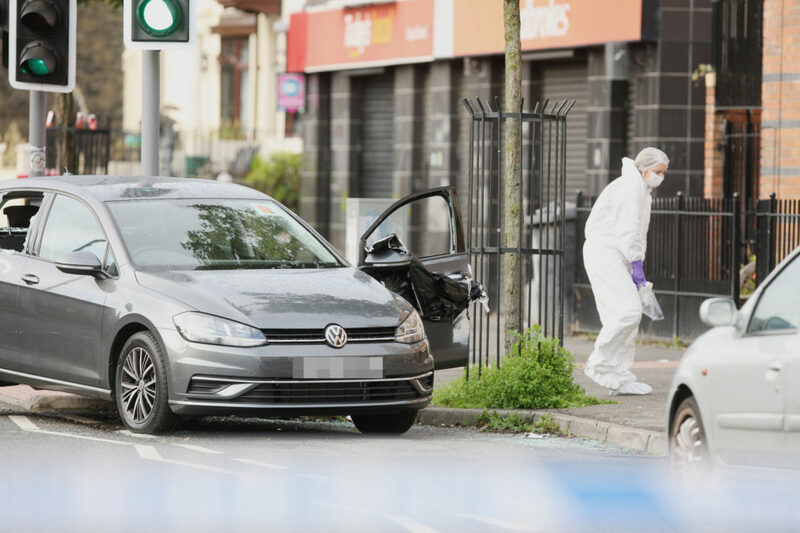 The attack led to morning rush-hour gridlock as one lane of the Westlink was closed along with North Queen Street and the Clifton Street on-slip. Local Sinn Féin Councillor JJ Magee slammed those responsible for the attack. “This disruption to the local community is unacceptable. Incidents like these need to stop. There is no place for it in our society,” he said. Detective Inspector Paul Rowland, from Musgrave Criminal Investigation Branch, said: “I want to thank local people and the wider community for their patience and understanding throughout the operation, which was necessary to ensure the safety of local residents and those travelling in and around the area.